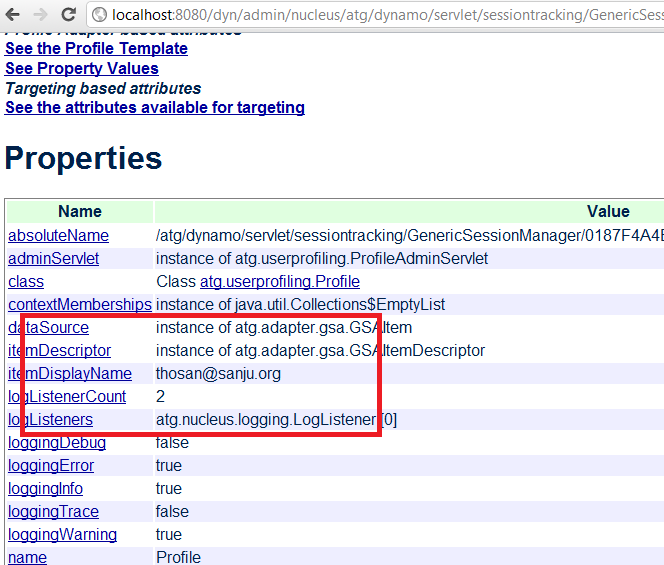 There is a very useful out of the box component named GenericSessionManager in ATG. 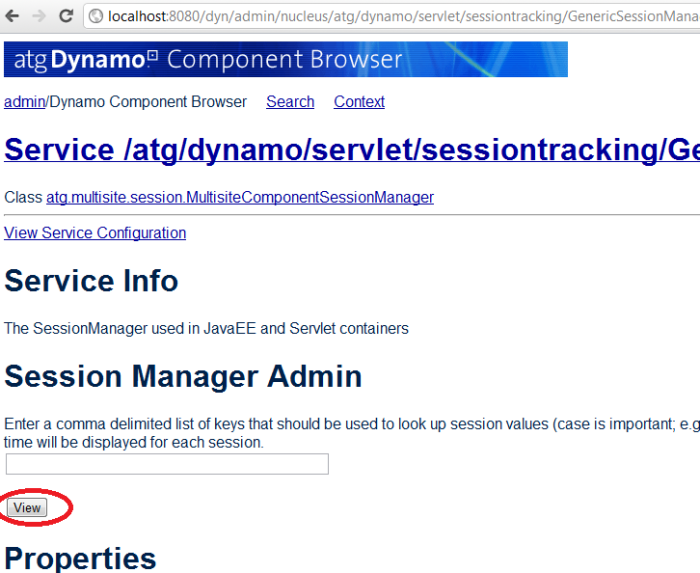 GenericSessionManager component helps you to track down all session scope objects and it’s state. 2. 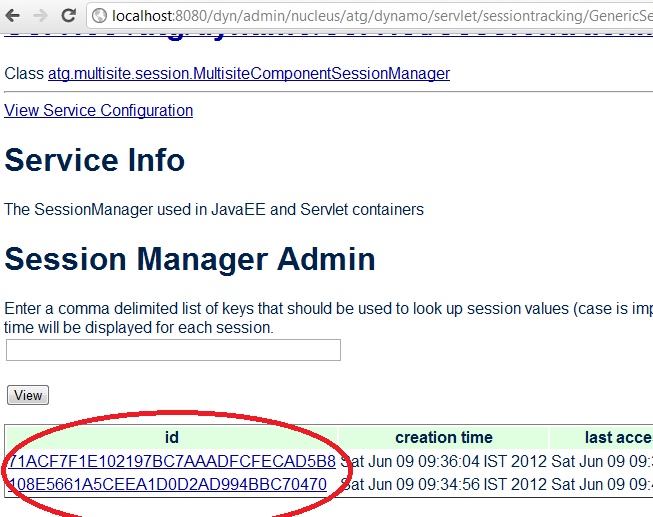 Once you click on the view button, Session Manager will list out all the active sessions with in the application server. 3. 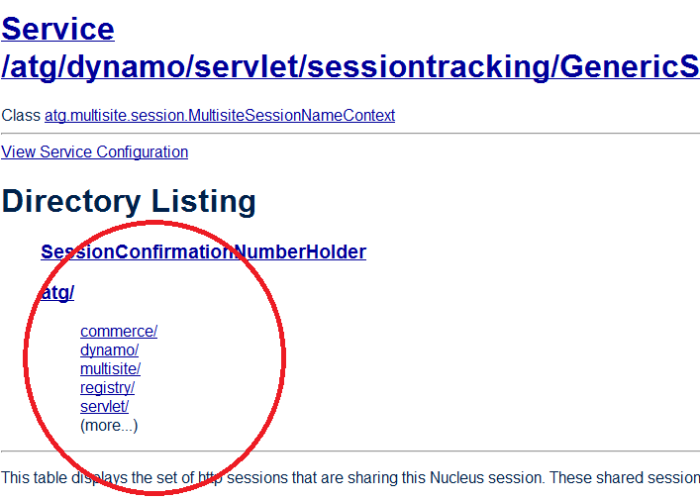 The most recently created session would be listed on the top, Once you click on the session id, you will get navigated into the session directory listing page. 4. Click on the atg link, you will get navigated to you a detailed directory listing. All classes belongs to atg packages can be found in this page. 6. If you really wanted to see all attributes belongs the profile you can get into the ProfileAdapaterRepository page and list all items. 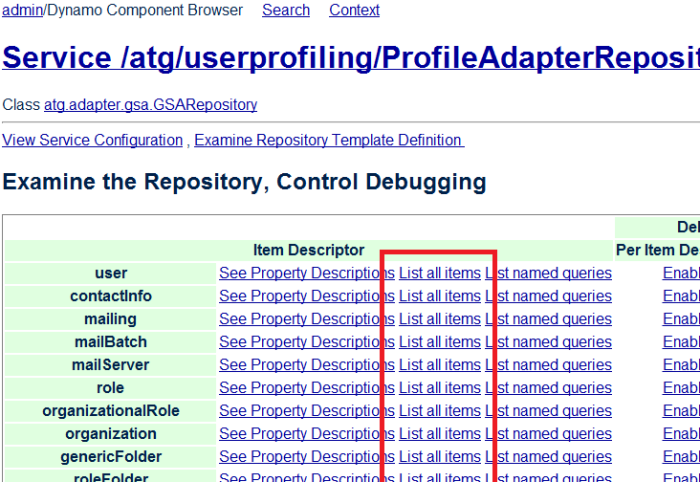 You will experience the real of ATG component browser SessionManager component when you do some real-time debugging.